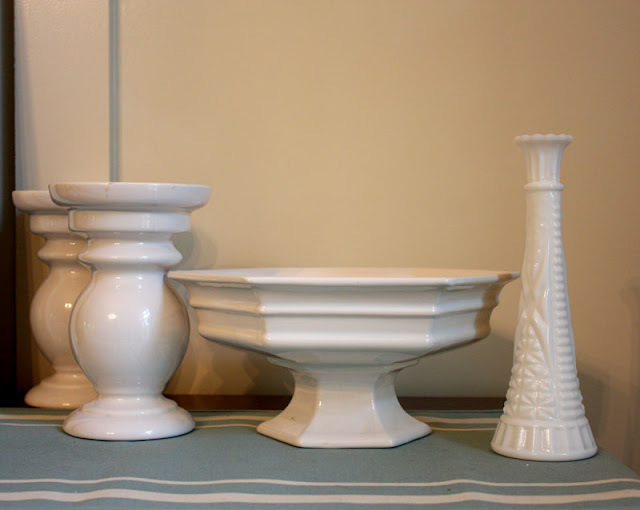 A big thank you to the reader who gave me the word "whiteware" to describe the hodge podge of milk glass, white ceramic and white glass that I collect at yard sales. "White stuff" just didn't sound as good! Grand total spent on the above: $4. I should be back to my regular posting this week -- see you soon! well that is apparently perfect for your dining room. i hope you have them on display there! love that pedestal bowl!